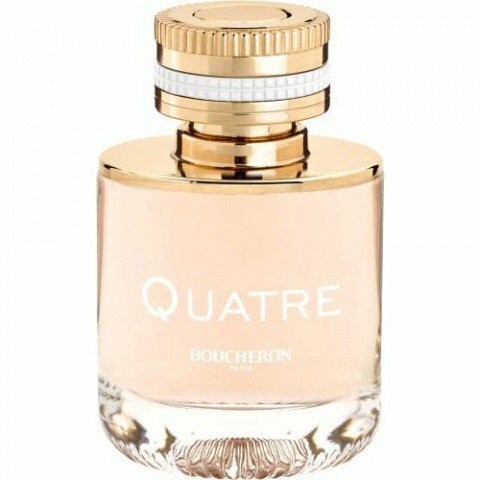 Quatre (Eau de Parfum) is a perfume by Boucheron for women and was released in 2015. The scent is floral-fruity. It is being marketed by Inter Parfums. A night with dark dreams, bitterly unpleasant waking up, the left foot wants to get out of bed first...well wonderful, the day is already under a bad omen before it has really begun. 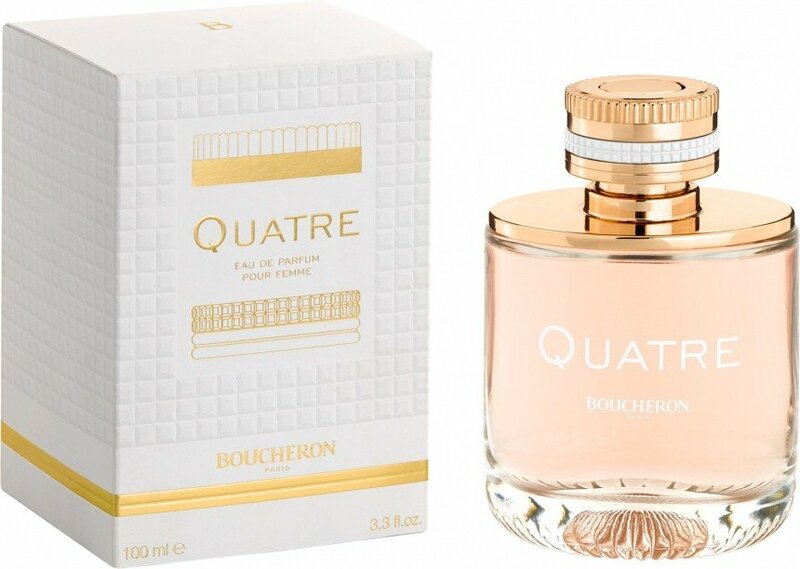 Only a powerful shower, your favourite feel-good outfit and Boucheron Quatre will help. For he wipes away the dark, takes his right foot out of bed, washes away all bitterness with clean purity and makes the day shine fresh. An absolute feel-good scent. Woody and musky odourants creep up on the synthetic indolic jasmin, preparing to blast your nostrils with the perfume equivalent of Chinese lacquer. It soon becomes repellant; a bitter-sour and slightly sweet, pink plastic thing of insulting cheapness. 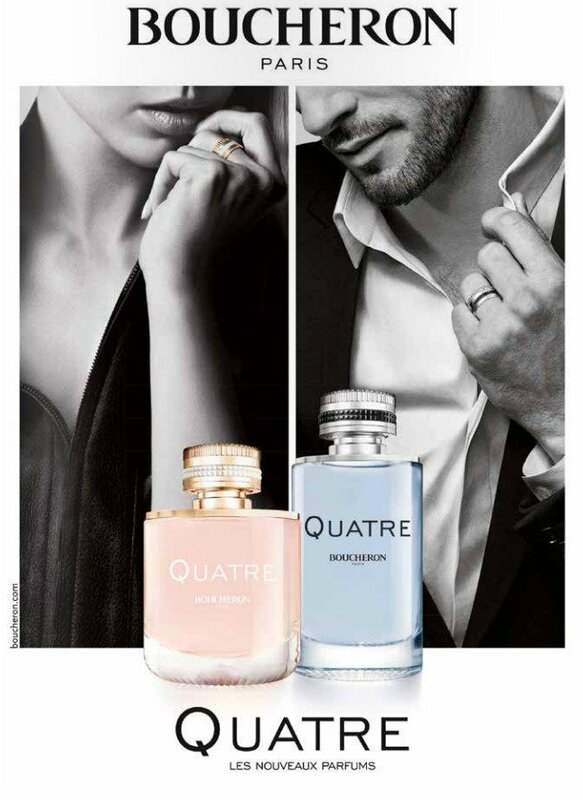 Write the first Review for Quatre (Eau de Parfum)!